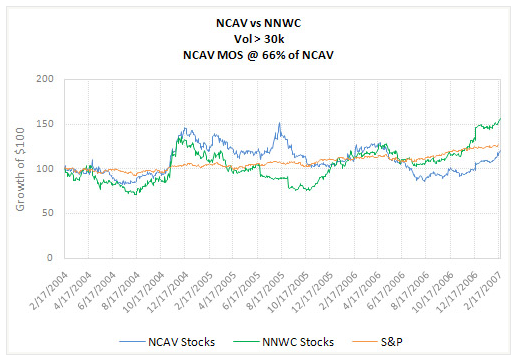 Jae Jun at Old School Value has updated his great post back-testing the performance of net current asset value (NCAV) against “net net working capital” (NNWC) by refining the back-test (see NCAV NNWC Backtest Refined). His new back-test increases the rebalancing period to 6 months from 4 weeks, excludes companies with daily volume below 30,000 shares, and introduces the 66% margin of safety to the NCAV stocks (I wasn’t aware that this was missing from yesterday’s back-test, and would explain why the performance of the NCAV stocks was so poor). 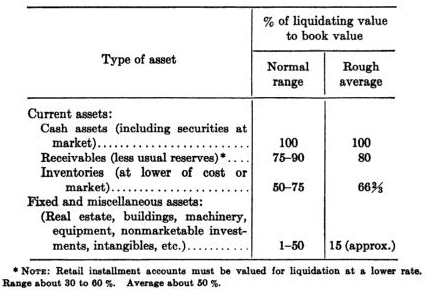 As I noted yesterday, excluding the “Fixed and miscellaneous assets” from the liquidating value calculation makes for an exceptionally austere valuation. It’s an impressive analysis by Jae Jun. Dividing the return into three periods is very helpful. While the returns overall are excellent, there were some serious smash-ups along the way, particularly the February 2007 to March 2009 period. As Klarman and Taleb have both discussed, it demonstrates that your starting date as an investor makes a big difference to your impression of the markets or whatever theory you use to invest. 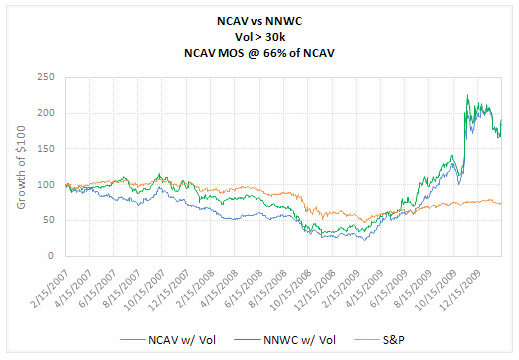 Compare, for example, the experiences of two different NCAV investors, one starting in February 2003 and the second starting in February 2007. The 2003 investor was up 500% in the first year, and had a good claim to possessing some investment genius. The 2007 investor was feeling very ill in March 2009, down around 75% and considering a career in truck driving. Both were following the same strategy, and so really had no basis for either conclusion. I doubt that thought consoles the trucker. Jae Jun’s Old School Value NNWC NCAV Screen is available here (it’s free). Excluding the “Fixed and miscellaneous assets” from the NNWC calculation provides an austere valuation indeed (it makes Graham look like a pie-eyed optimist, which is saying something). The good news is that Jae Jun’s NNWC methodology seems to have performed exceptionally well over the period analyzed. NNWC is positive and the latest NNWC has increased compared to the previous quarter. In this screen, NNWC doesn’t have to be less than current market price. Since the requirement is that NNWC is greater than 0, most large caps automatically fail to make the cut due to the large quantity of intangibles, goodwill and total debt. Both the NNWC and NNWC Increasing portfolios delivered exceptional returns, up 228% and 183% respectively, while the S&P500 was off 26%. 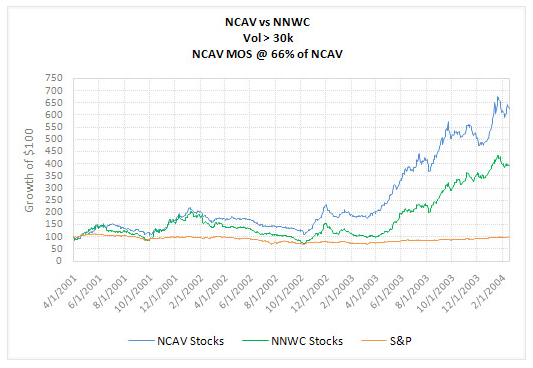 The performance of the NCAV portfolio was a surprise, eeking out just a 5% gain over the period, which is nothing to write home about, but still significantly better than the S&P500. That’s a gain of over 400% for NNWC stocks! Amazing stuff. 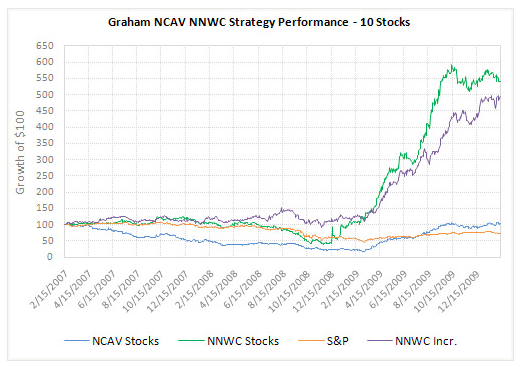 It would be interesting to see a full academic study on the performance of NNWC stocks, perhaps with holding periods in line with Oppenheimer’s Ben Graham’s Net Current Asset Values: A Performance Update for comparison. You can see Jae Jun’s Old School Value NNWC NCAV Screen here (it’s free). He’s also provided a list of the top 10 NNWC stocks and top 10 stocks with increasing NNWC in the NCAV NNWC Screen Strategy Backtest post. Aswath Damodaran, a Professor of Finance at the Stern School of Business, has an interesting post on his blog Musings on Markets, Transaction costs and beating the market. Damodaran’s thesis is that transaction costs – broadly defined to include brokerage commissions, spread and the “price impact” of trading (which I believe is an important issue for some strategies) – foil in the real world investment strategies that beat the market in back-tests. He argues that transaction costs are also the reason why the “average active portfolio manager” underperforms the index by about 1% to 1.5%. I agree with Damodaran. 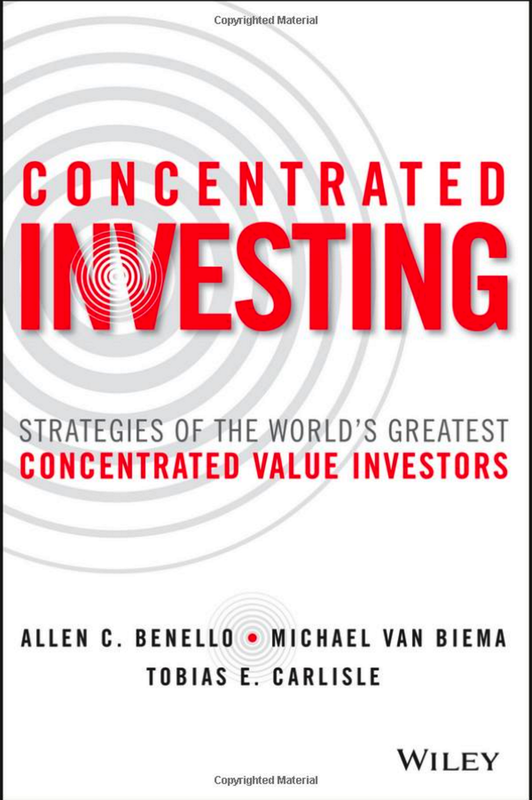 The long-term, successful practical application of any investment strategy is difficult, and is made more so by all of the frictional costs that the investor encounters. That said, I see no reason why a systematic application of some value-based investment strategies should not outperform the market even after taking into account those transaction costs and taxes. That’s a bold statement, and requires in support the production of equally extraordinary evidence, which I do not possess. Regardless, here’s my take on Damodaran’s article. Most of these beat-the-market approaches, and especially the well researched ones, are backed up by evidence from back testing, where the approach is tried on historical data and found to deliver “excess returns”. Ergo, a money making strategy is born.. books are written.. mutual funds are created. So, why do portfolios that perform so well in back testing not deliver results in real time? The biggest culprit, in my view, is transactions costs, defined to include not only the commission and brokerage costs but two more significant costs – the spread between the bid price and the ask price and the price impact you have when you trade. The strategies that seem to do best on paper also expose you the most to these costs. Consider one simple example: Stocks that have lost the most of the previous year seem to generate much better returns over the following five years than stocks have done the best. This “loser” stock strategy was first listed in the academic literature in the mid-1980s and greeted as vindication by contrarians. Later analysis showed, though, that almost all of the excess returns from this strategy come from stocks that have dropped to below a dollar (the biggest losing stocks are often susceptible to this problem). The bid-ask spread on these stocks, as a percentage of the stock price, is huge (20-25%) and the illiquidity can also cause large price changes on trading – you push the price up as you buy and the price down as you sell. Removing these stocks from your portfolio eliminated almost all of the excess returns. Damodaran’s argument is particularly interesting to me in the context of my recent series of posts on quantitative value investing. 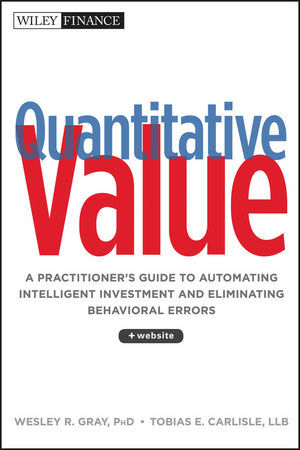 For those new to the site, my argument is that a systematic application of the deep value methodologies like Benjamin Graham’s liquidation strategy (for example, as applied in Oppenheimer’s Ben Graham’s Net Current Asset Values: A Performance Update) or a low price-to-book strategy (as described in Lakonishok, Shleifer, and Vishny’s Contrarian Investment, Extrapolation and Risk) can lead to exceptional long-term investment returns in a fund. The challenge is making the sample mean (the portfolio return) match the population mean (the screen). As we will see, the real world application of the quantitative approach is not as straight-forward as we might initially expect because the act of buying (selling) interferes with the model. The strategy in back test doesn’t have to deal with what I call the “friction” it encounters in the real world. I define “friction” as brokerage, spread and tax, all of which take a mighty bite out of performance. These are two of Damodaran’s transaction costs and another – tax. Arguably spread is the most difficult to prospectively factor into a model. One can account for brokerage and tax in the model, but spread is always going to be unknowable before the event. The act of buying or selling interferes with the market (I think it’s a Schrodinger’s cat-like paradox, but then I don’t understand quantum superpositions). This is best illustrated at the micro end of the market. Those of us who traffic in the Graham sub-liquidation value boat trash learn to live with wide spreads and a lack of liquidity. We use limit orders and sit on the bid (ask) until we get filled. No-one is buying (selling) “at the market,” because, for the most part, there ain’t no market until we get on the bid (ask). When we do manage to consummate a transaction, we’re affecting the price. We’re doing our little part to return it to its underlying value, such is the wonderful phenomenon of value investing mean reversion in action. The back-test / paper-traded strategy doesn’t have to account for the effect its own buying or selling has on the market, and so should perform better in theory than it does in practice. 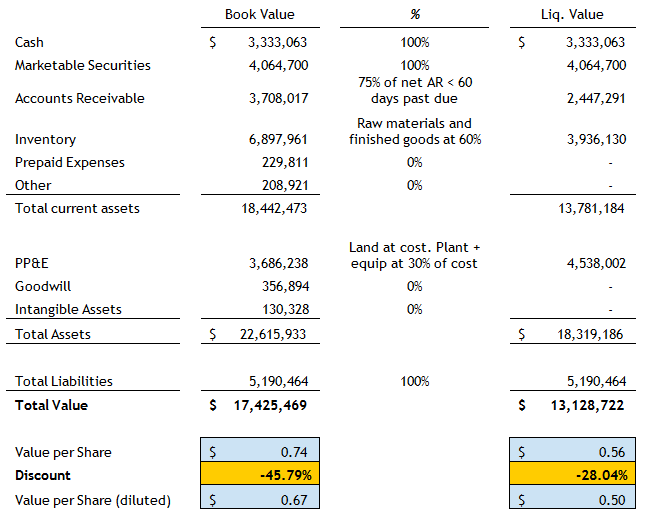 If ever the real-world application of an investment strategy should underperform its theoretical results, Graham liquidation value is where I would expect it to happen. The wide spreads and lack of liquidity mean that even a small, individual investor will likely underperform the back-test results. Note, however, that it does not necessarily follow that the Graham liquidation value strategy will underperform the market, just the model. 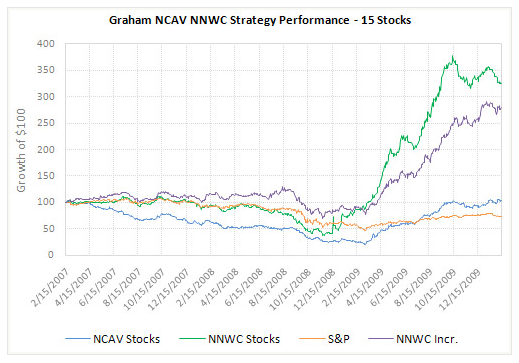 I continue to believe that a systematic application of Graham’s strategy will beat the market in practice. The average active portfolio manager, who I assume is the primary user of these can’t-miss strategies does not beat the market and delivers about 1-1.5% less than the index. There’s a little rhetorical sleight of hand in this statement (which I’m guilty of on occasion in my haste to get a post finished). Evidence that the “average active portfolio manager” does not beat the market is not evidence that these strategies don’t beat the market in practice. I’d argue that the “average active portfolio manager” is not using these strategies. I don’t really know what they’re doing, but I’d guess the institutional imperative calls for them to hug the index and over- or under-weight particular industries, sectors or companies on the basis of a story (“Green is the new black,” “China will consume us back to the boom,” “house prices never go down,” “the new dot com economy will destroy the old bricks-and-mortar economy” etc). Yes, most portfolio managers underperform the index in the order of 1% to 1.5%, but I think they do so because they are, in essence, buying the index and extracting from the index’s performance their own fees and other transaction costs. They are not using the various strategies identified in the academic or popular literature. That small point aside, I think the remainder of the article is excellent. In conclusion, I agree with Damodaran’s thesis that transaction costs in the form of brokerage commissions, spread and the “price impact” of trading make many apparently successful back-tested strategies unusable in the real world. I believe that the results of any strategy’s application in practice will underperform its theoretical results because of friction and the paradox of Schrodinger’s cat’s brokerage account. That said, I still see no reason why a systematic application of Graham’s liquidation value strategy or LSV’s low price-to-book value strategy can’t outperform the market even after taking into account these frictional costs and, in particular, wide spreads. Hat tip to the Ox. SST is a fabless, designer and supplier of NOR flash memory chips which are used in thousands of consumer electronic products. It has two businesses – Products sales of $240 mm with 20% gross margin and licensing revenues of $40 mm with near 100% margin. As of September 30, 2009, SST had cash and investments of $2.14 per share, net non-cash working capital of $0.41 per share and zero debt. This implies that the market is valuing its business at $0.23 per share or $22 mm. This is a Company which annually spends $50 mm on R&D alone! Judging from last 10 years of SST’s history, valuation has suffered from (1) dismal bottom line performance and (2) Corporate governance issues. After bottoming in Q109, Company revenues and margins have rebounded sharply. The Board has decided to take this opportune time to create “value” for shareholders by selling it to a private equity fund for … $2.10 per share. As part of the deal, the current CEO and COO are going to keep their equity interest in the private Company. In response, an activist shareholder (Riley Invesment Management) resigned from the Board when the Go-Private deal was announced. Last week, he and certain other large shareholders formed SST Full Value Committee and have asked the Board to reconsider the transaction. Given the governance issues (which could improve as a proxy fight to add independent members is underway), a discount to the peer group is warranted. However, whether you value it on EV/Revenue, EV/EBITDA or Price/Tangible Book Value, the stock has 50% to 200% upside potential. SSTI being acquired by MCHP for $2.85 per share. SSTI has $2.55 per share in cash, investments and net working capital. 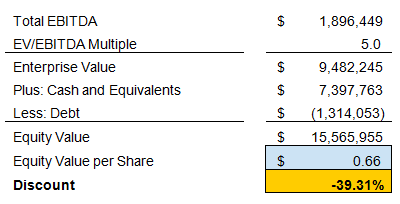 Which means, MCHP is really offering $0.35 per share in value or approximately $35 mm for a semiconductor business which generates $280 mm in sales and almost $50 mm per anum in gross profit and another $40 mm per year in license fees. The license fees alone can be worth $200 mm using a 20% yield. SST story reminds me of the Road Runners cartoon with management being the Wile E. Coyote, trying to sabotage shareholders every which way….. Beep Beep.